Salvage operations on stricken bulker off Gibraltar abandoned as ship becomes unstable. 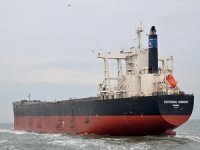 Authorities in Gibraltar issued a statement yesterday saying that the operation to salvage the stricken bulk-carrier mv NEW FLAME was halted on Monday evening when the salvage team became aware that the vessel had become unstable and was in danger of breaking. 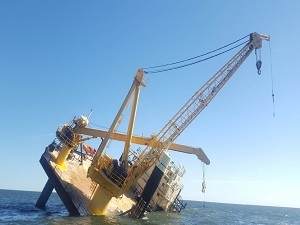 The Salvage Master instructed the Salvage Team to evacuate the vessel and transfer to the tug FOTIY KRYLOV which has been assisting in the operation since its arrival in Gibraltar last Sunday. 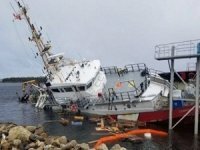 The likely outcome, said the statement, is that the vessel will break in two due to the effects of swell and tides. 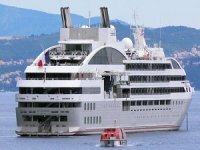 Should this happen, the likely course of action is for the aft section of the vessel to be towed into a place of safety. It was envisaged that, operational safety permitting, a dive survey would be conducted to assess the situation. The results of the survey will determine the course of action to follow. The Salvage Master has assured the Gibraltar Government that the breaking up of the vessel would cause the aft section to float and all the remaining fuel onboard will remain safely intact in the storage tanks. 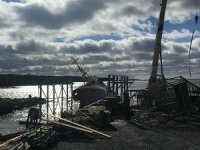 Throughout this operation an offshore oil boom and other necessary oil response equipment have been deployed at the scene in the unlikely event that this should be required. 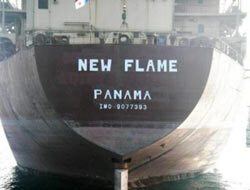 The NEW FLAME collided with the tanker on TORM GERTRUDE on Sunday 12th August 2007. 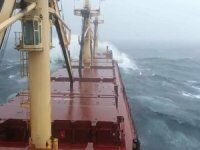 The tanker continued on its way, but the bulk carrier took on water and grounded off Europa Point.